• and keep it simple! 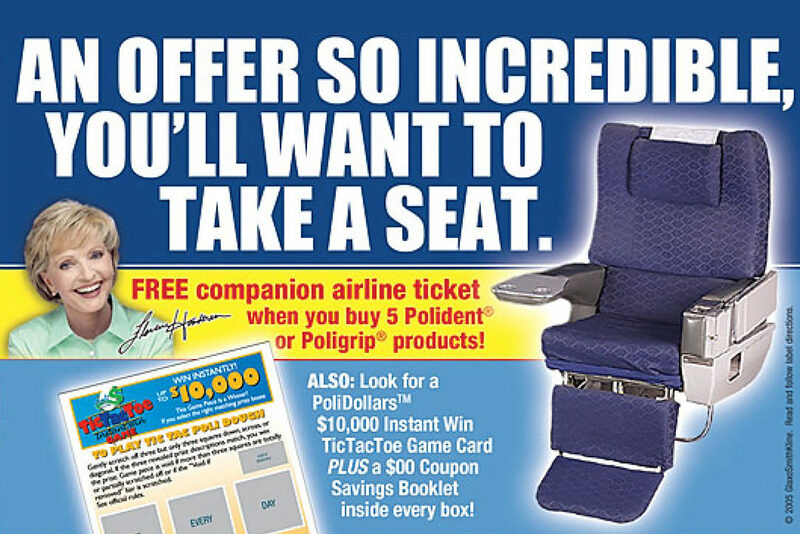 Make the ticket offer dominant, with a forceful, double-meaning headline. The tone and size of the headline, coupled with the yellow-banded payoff featuring Henderson, would focus the reader’s attention. We then separated the products and the other offers on either side of the main offer area…and again used color (red) and placement (near coupons) to draw attention to the Web site information. The creative (yet on-strategy) copy and overall visual treatment of the many disparate elements was, we believe, both unobvious at the outset and ultimately successful.